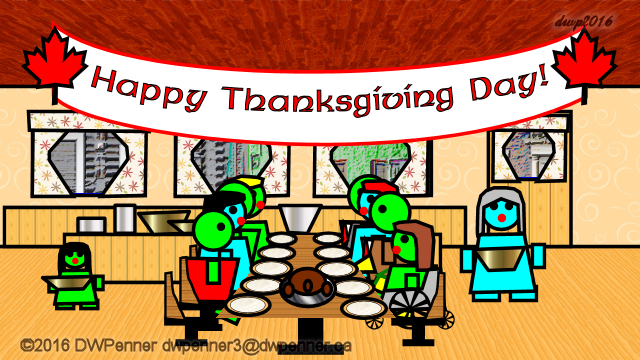 I hope that you have a safe Thanksgiving Day!. Please be safe on the road. I hear there is snow in many parts of the US so take a little extra time. We have much to be thankful for and I hope that you do as well. One of the best is being able to spend time with family, friends, and other loved ones. I’m also thankful that the “The Gnome Tapestry” has been going on for over 3 years! I have so very many things to be thankful for that I can’t number them. Have a great Thanksgiving Day Weekend from me at The Gnome Tapestry! 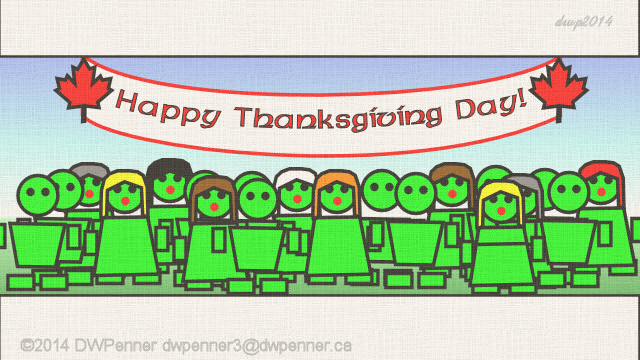 I hope that you have a safe Thanksgiving Day Weekend here in Canada!. Please be safe on the road. I hear there is snow in the Prairies and Northern BC so take a little extra time. We have much to be thankful for and I hope that you do as well. One of the best is being able to spend time with family, friends, and other loved ones. We’re approaching the 3 Year anniversary of “The Gnome Tapestry” and that is only one thing I am thankful for. Happy Thanksgiving Day from me at The Gnome Tapestry to our American Cousins! Celebrating Thanksgiving in the USA! I hope you had a great Thanksgiving enjoying it with friends, family, and loved ones. We have much to be thankful for and I hope that you do as well. One of the best is being able to spend time with family, friends, and other loved ones. Have a great Thanksgiving Day from me at The Gnome Tapestry! Celebrating Thanksgiving in the USA! We have much to be thankful for and I hope that you do as well. One of the best is being able to spend time with family, friends, and other loved ones. Celebrating Thanksgiving here in Canada! We have much to be thankful for and I hope that you do as well. One of the best is being able to spend time with family, friends, and other loved ones. We’re approaching the 1 Year anniversary of “The Gnome Tapestry” and that is only one thing I am thankful for.